MIAMI – Rhythm and dance are taking over in Little Haiti and Miramar when DanceAfrica Miami makes its highly anticipated debut at the seventh Annual African Diaspora Dance and Drum Festival of Florida (A.D.D.D.F.F) on August 5-7 at the Little Haiti Cultural Complex and the Miramar Cultural Center. As the country’s most renowned festival celebrating African dance, music, and culture, the three-day cultural weekend includes a concert extravaganza, international dance performances, and a series of cultural, artistic, and educational programming. The return of DanceAfrica Miami is spearheaded by Delou Africa and is made possible in part by a Knight Foundation grant to reestablish the festival; which was last hosted in Miami in 1997 at Miami Dade College Wolfson Campus. DanceAfrica Miami expands and enhances Delou Africa’s annual concert with a headlining performance by New York’s famed Forces of Nature Dance Theater, which celebrates 35 years of artistic expression. 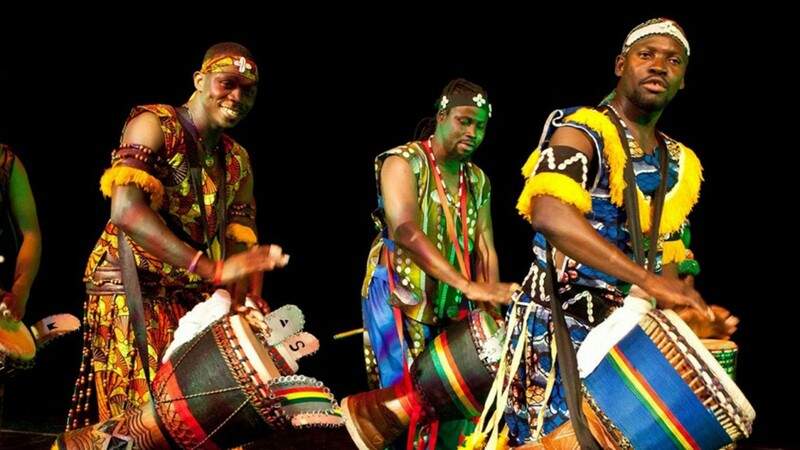 The line-up also includes the West African Dance & Drum Collective featuring world-renowned native African dance artists and professional drummers/musicians. Performances will also feature local artists representing Africa, the Caribbean, and the U.S., including the Delou Africa Dance Ensemble, Nancy St. Leger Dance Ensemble, Sikan Afro-Cuban Dance Project, African Watoto Dance Theatre, and the Children of Kuumba. South Florida’s “daughter of poetry,” Rebecca “Butterfly” Vaughns, will MC the concert. Immediately following the concert is a gala reception fundraiser to benefit Delou’s ongoing programs with entertainment to include Pantastick Steel Orchestra, Fun Generation costume mask showcase for the 2016 Miami Broward One Carnival, and DJ Isis and DJ Bunny. The three-day high-spirited family friendly multi-cultural arts weekend is part of Delou Africa’s commitment to bridge cultural gaps and expand cultural engagement through artistic education for the entire family. Attendees will enjoy African, contemporary, and Caribbean dance, drum, and music workshops, international dance choreographers, the Better Living Health Fair, a global bazaar and artisan marketplace, and the Children’s Village Zone featuring dance, drum, arts & crafts, African folktale, face painting, and back to school book bag give-away. South African Airways is also sponsoring a raffle drawing for two round trip tickets to South Africa. Nationally acclaimed as the festival of all African dance and music festivals in the U.S., DanceAfrica was created during the 1960’s under the artistic direction of Chuck Davis. Over the course of nearly four decades, DanceAfrica has grown as a movement to showcase the rich social, religious, and ceremonial traditions of African heritage through performance, art, film, and community events.